EPICA “Strategic partnership for the co-design of an innovative and scalable ePortfolio ecosystem to improve the quality and visibility of skills” H2020 project has started on January with an international partnership and a contribution by the European Commission of 1.897.450 €. The consortium, coordinated by the International Council for Open and Distance Education (ICDE), includes the Open University of Catalonia (UOC), the Spanish SME Documenta SL., the international company ‘Integrated Communications, Worldwide Events’ (ICWE) and four universities of three Sub-Saharan countries (Open University of Tanzania, Makerere University from Uganda, Maseno University from Kenya, and the African Virtual University). The project aims to address the skills-gap of the african countries through a process of co-design, adaptation, implementation and validation of an innovative and scalable Competency-Based ePortfolio. The solution intends to foster the adoption of new competency-based pedagogical methodologies and to face the increasing market demands in term of better-skilled workers making skills visible and comparable. End-users’ communities will be involved in the whole process of design and piloting to ensure that the ePortfolio meets users’ and market’s requirements. 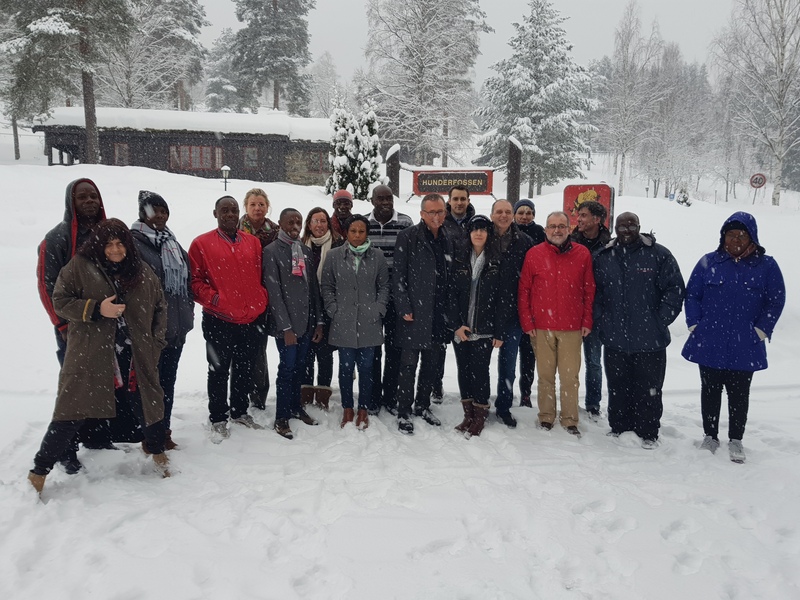 The kick-off meeting held in Lillehammer (Norway) the last 29, 30 and 31 of January and attended by Lourdes Guàrdia, Marcelo Maina and Albert Sangrà has been a great opportunity to review and discuss the whole project planning, agree on the key concepts and the work dynamics to be implemented and share relevant experiences developed in previous projects, crucial to lay the groundwork for the future project’s developments. EPICA’s goals as e.g. the implementation of online assessment strategies through the use of ePortfolios or the enhancement of graduates’ employment are in line with the goals set by the UOC’s strategic plan in which the commitment to globalization and the construction of a global knowledge space represents a priority. Collaborate with african universities and undertake this new experience will be certainly a great challenge for Edul@b!